Is it normal for your pet to lose weight as he gets older? Is it typical for a pet to become more vocal or needier as she ages? Do pets eat more as they age? Sometimes we attribute changes in our pets’ behavior to their aging. However, changes in weight, appetite, and neediness may indicate bigger problems. In cats, these indicators may be all signs of hyperthyroid disease. In fact, approximately 10% of cats will develop hyperthyroidism in their mature years. Hyperthyroid disease is a result of an overproduction of thyroid hormones from an enlarged thyroid gland. Most of the time, the thyroid enlargement is benign (non-cancerous). However, in rare cases, it can be caused by malignant (cancerous) tumors. What do the thyroid glands even do? The thyroid glands are located on the mid to lower portion of the neck right on top of the trachea (the windpipe). They are responsible for producing hormones that regulate organ systems and other body processes, including metabolism. 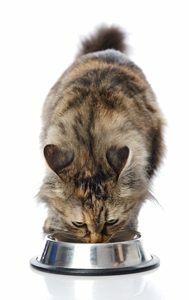 Because the thyroid glands regulate the burning of calories, hyperthyroid disease can cause your cat to lose weight even with an increased appetite. With the thyroid stuck in overdrive, there is a constant stress on your cat’s heart and other organs. What are some symptoms of this condition? This list is by no means all-inclusive, and some pets may show none of the common outward signs. Some of these symptoms may also appear with other diseases or health problems. If you are concerned about your pet or symptoms she is showing at home, please schedule an appointment with your veterinarian. How will I know for sure if my pet has this disease? The only way to know if your pet has hyperthyroidism is to have your veterinarian perform a physical exam to evaluate your pet’s overall health. Weight loss could be due to a broken tooth. Vomiting or diarrhea could be symptoms of many different illnesses. If during the exam, the doctor rules out other causes for the symptoms you are seeing, she may recommend some blood tests. Blood work can reveal abnormalities such as kidney or liver disease or thyroid problems. Based on the results of the blood work, your veterinarian will then be able to help decide what treatment options are best for your pet. There are 3 main treatment options for cats diagnosed with hyperthyroidism. Your veterinarian will help you decide which option is best for you and your pet. A long-term medication called Methimazole can reduce the production and release of the thyroid hormone which in turn helps to control your pet’s thyroid disease. Because this is a long-term medication, your veterinarian will want to test your pet’s blood on a routine basis to make sure the medicine is helping the thyroid without harming the liver and kidneys. Results of the blood work may also cause your veterinarian to adjust dosage amounts to best suit your pet. Cat owners know, it can be very difficult to give pills to cats! Luckily, Metimazole can be given transdermally. This means that the medication can be put into an ointment that you rub inside your cat’s ear, and it will then absorb into his body through his skin. Most people choose to treat their pets’ hyperthyroidism with medication because it is effective and convenient with very few side effects. Another treatment option is surgery to remove the overactive thyroid glands. We do use general anesthesia for this precise and delicate procedure. The thyroid glands are on the trachea near the carotid artery and the jugular vein. Because the thyroid glands are so close to these other vital structures, this surgery can be very difficult and secondary complications may occur. 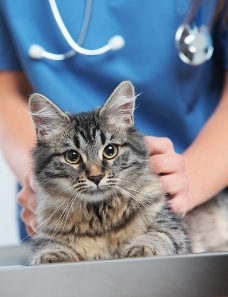 Even after the surgery, your cat may require medications or additional monitoring. A third treatment option uses radioactive-iodine to target and destroy abnormal thyroid tissue. Due to the use of radioactive material, this treatment must be performed at a special facility. Your cat will need to stay for a specific number of days following treatment so that professionals can monitor the radiation levels in his body. While the word “hyperthyroidism” sounds daunting, the disease can be managed with the help of your veterinarian. 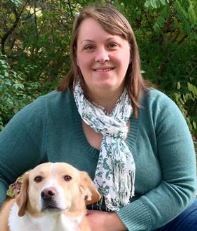 Your vet will help you determine the best option for treatment that suits both you and your pet. If you think your cat may have hyperthyroid disease, or if you have a mature cat in your household, please talk to your vet. A simple blood test may make all the difference in your pet’s health!